As millennials take their first cautious steps into the realm of homeownership, they face their next big challenge – creating an outdoor living space where they can relax and entertain. Many millennials don’t necessarily want the same plastic Adirondack chair and table set their parents bought in the early 90’s. They want something with a bit more character, something with a bit less ‘mass market’ feel, something a bit, well… ‘hipper’. Enter Rago’s August Unreserved Auctions on August 24-26, a three-day auction series of antique, vintage and modern art and design, including a bumper crop of garden furniture, planters, benches, and architectural elements from a local estate that run the gamut from French Deco to Egyptian Revival to Modern – and not a single plastic Adirondack chair in sight! 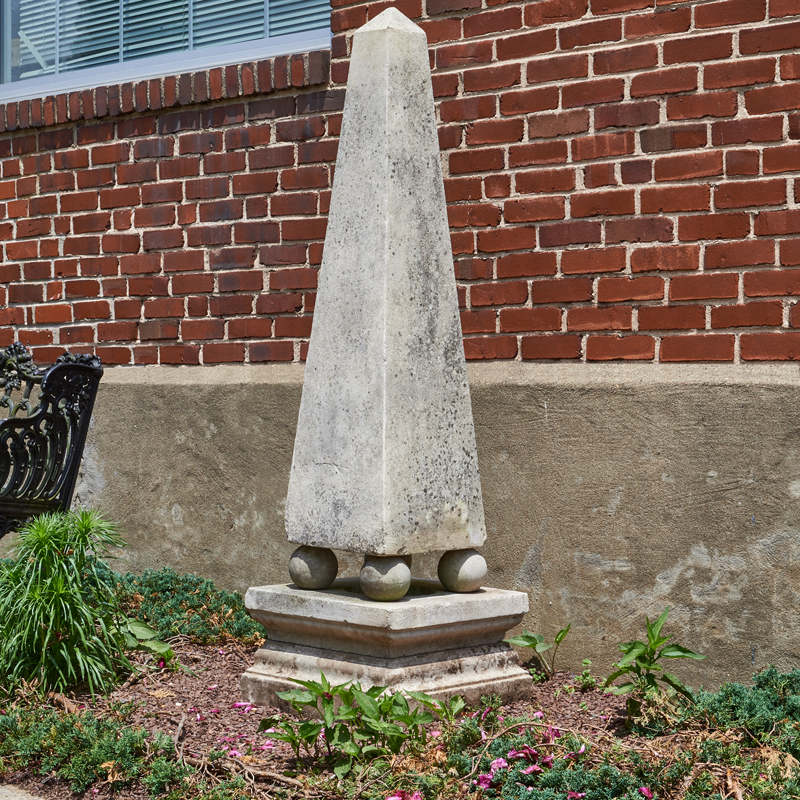 Five and a half feet tall with a perfectly aged patina, this limestone obelisk would make a great focal point for that fledgling garden or a destination to lure you down a topiary path. 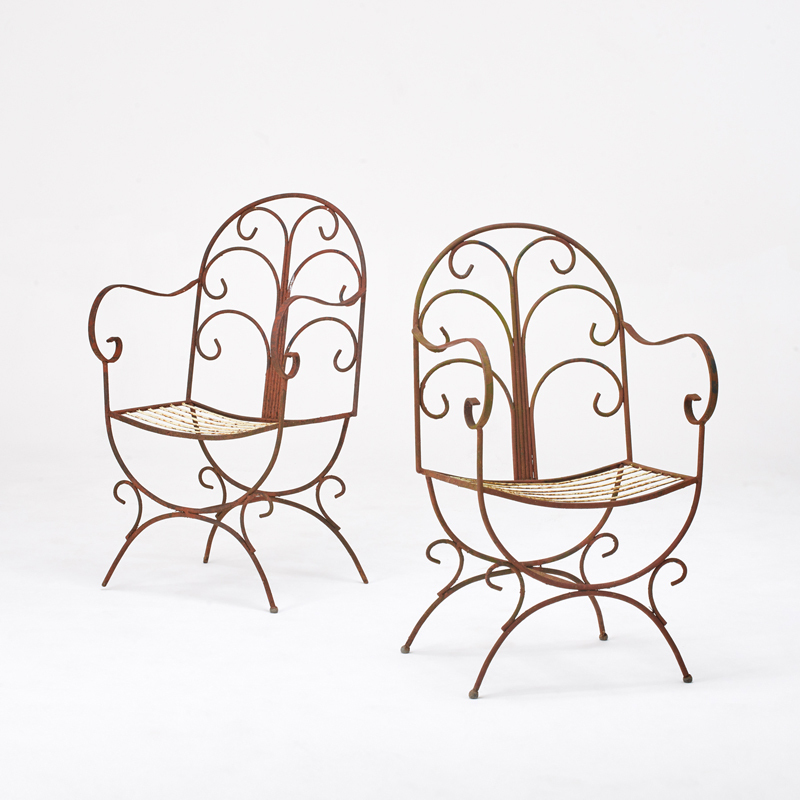 This pair of high backed curule seat chairs would add a touch of sinuous European elegance to any outdoor space. Measuring nearly six feet tall, this massive wrought iron industrial clamp would make an unexpected accent piece and a playful juxtaposition to a flowering surrounding. 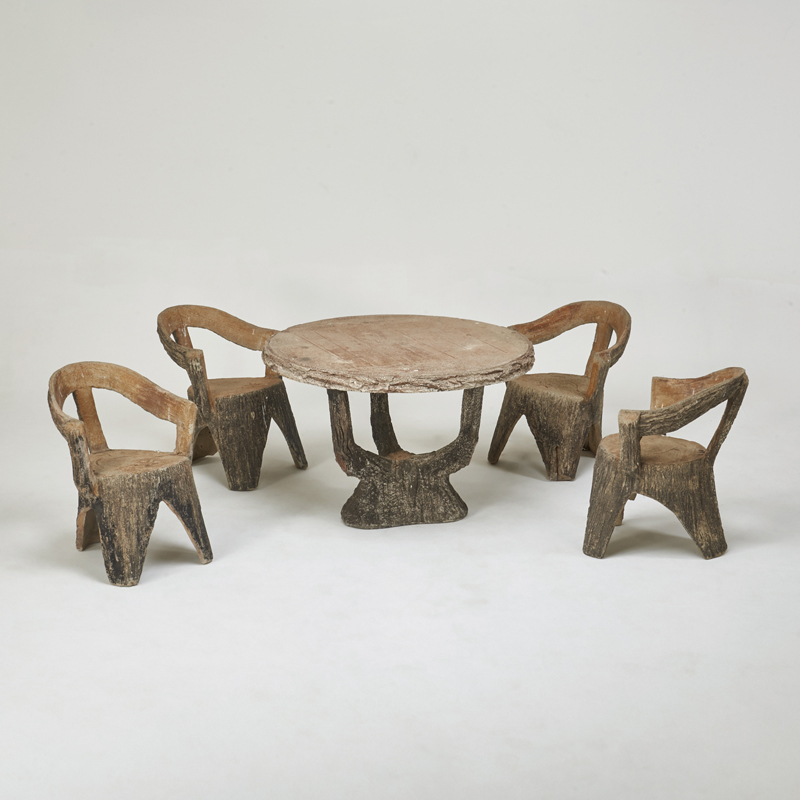 Projecting an aesthetic both primeval and modern, this table and chair set is as well suited for a verdant paradise as for a pea stone terrace and hardscape oasis. 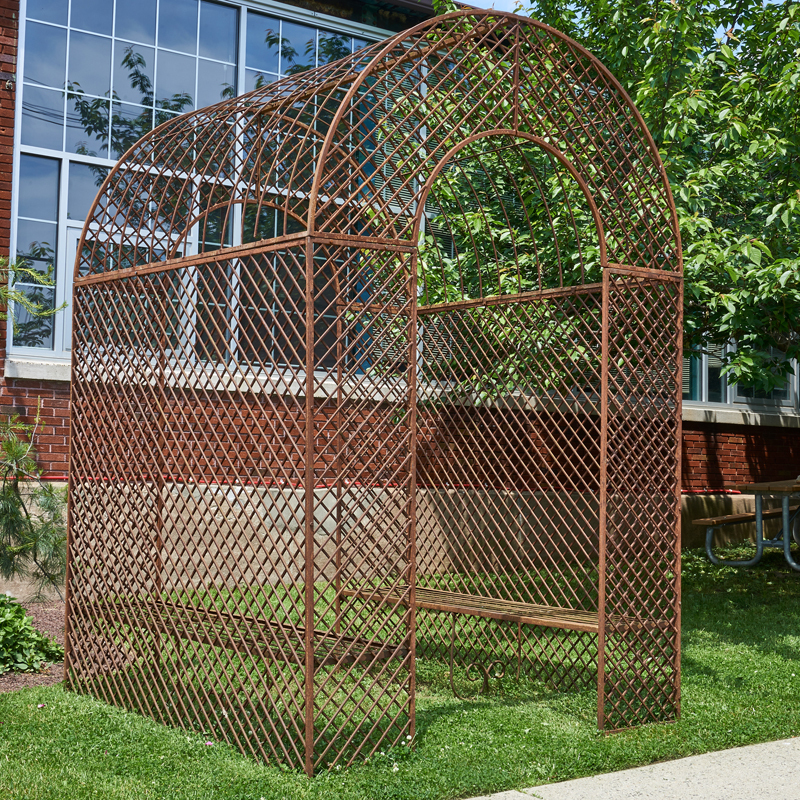 With entry points at the front and back and seating for six, this latticed garden folly would look stunning wrapped in a canopy of tendrilled vines. View more Garden Furniture on offer in Rago’s Unreserved Session 3 auction coming up on August 26th. 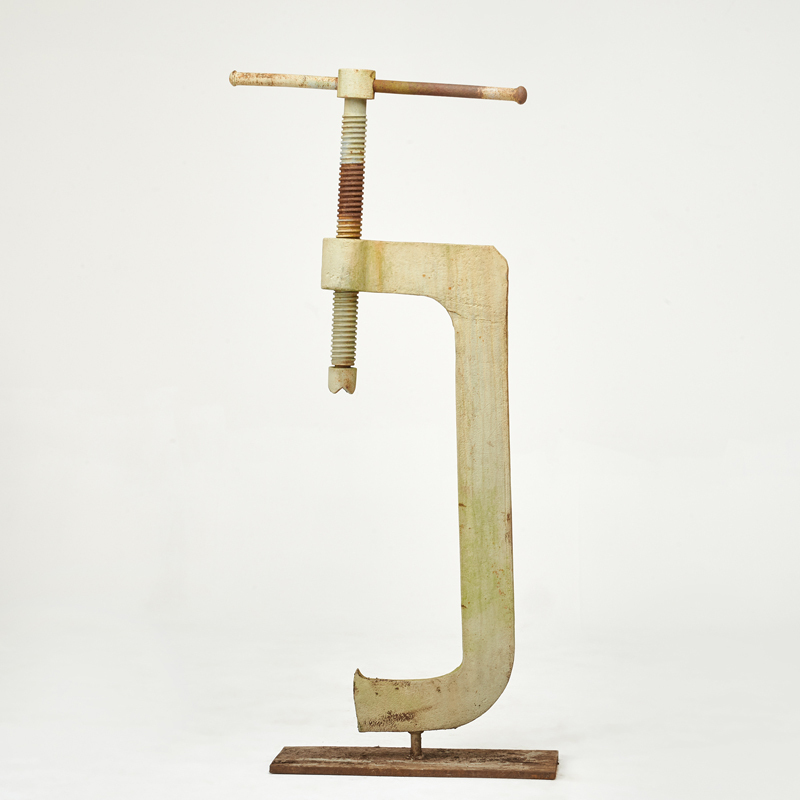 Click here to view Rago's Unreserved Session 2 auction coming up on August 25th. 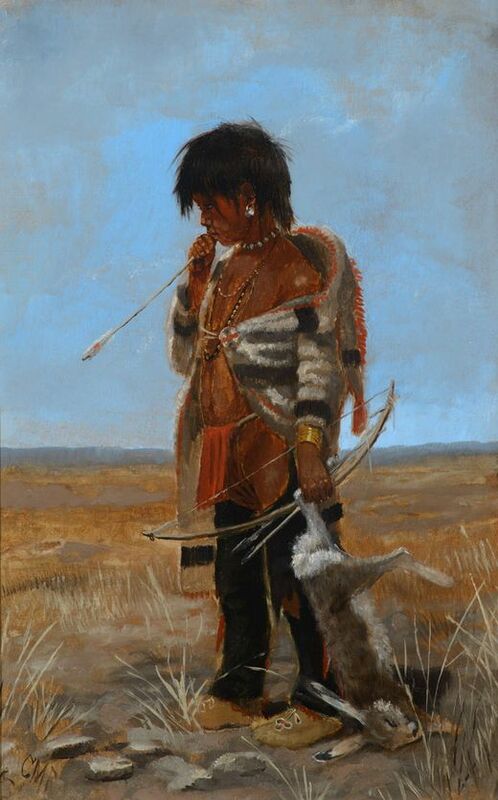 Click here to view Rago's Unreserved Session 1 auction coming up on August 24th.